Are you a Free-Rider? 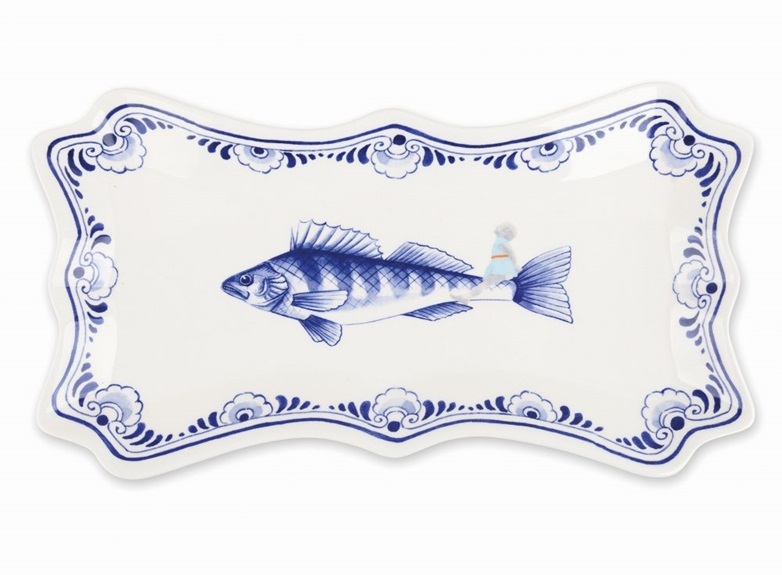 All you have to do is hop onto this Pike-Perch and enjoy the ride. 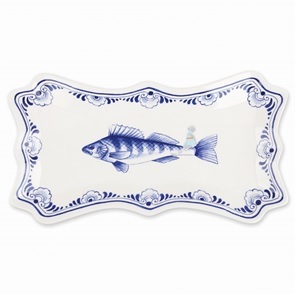 The Fish Plates were inspired by the old Dutch plates from the 18th century. 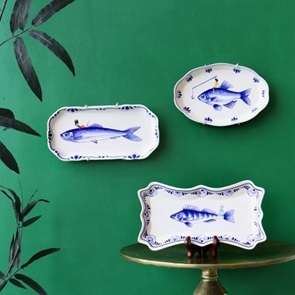 The Collection is made up of three plates with three different Dutch fish: The Herring, The Pike-Perch & The Common Rudd. 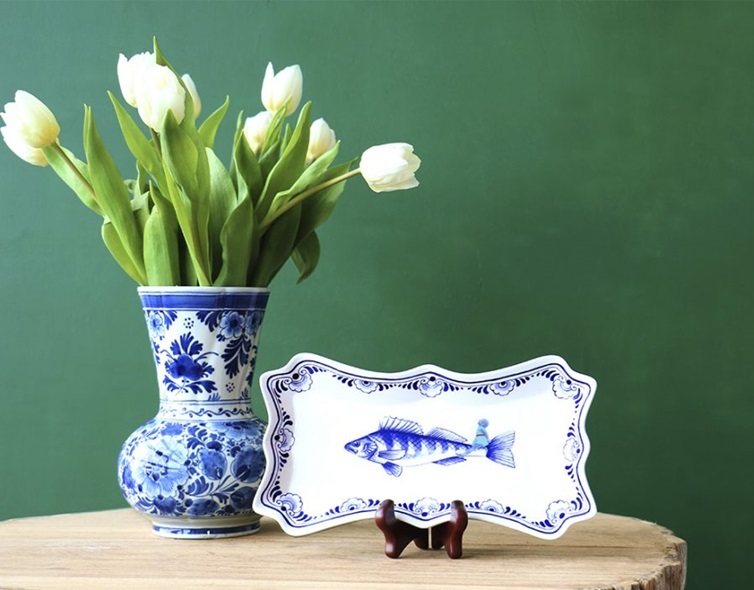 Each fish is paired up with more modern designs made by Marga van Oers. 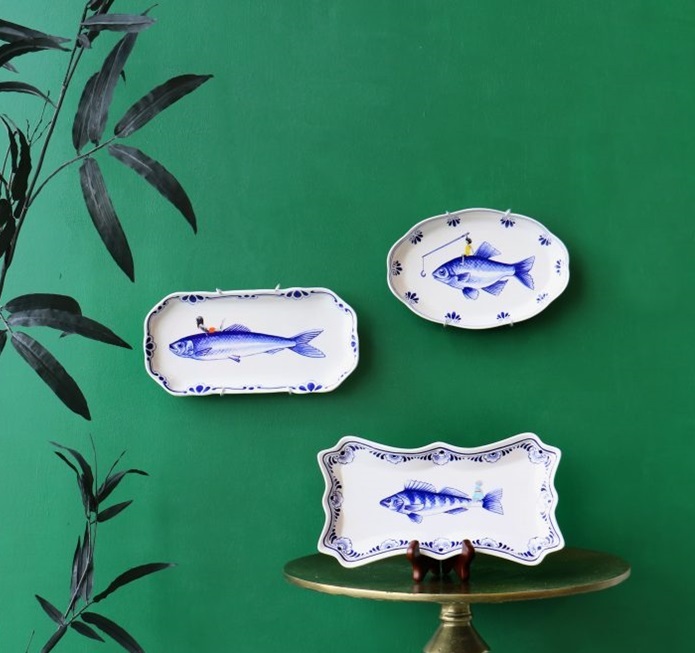 The Fish Plates collection comes with plate-hanger so just like in the olden days you can hang up your plate and put in on show. 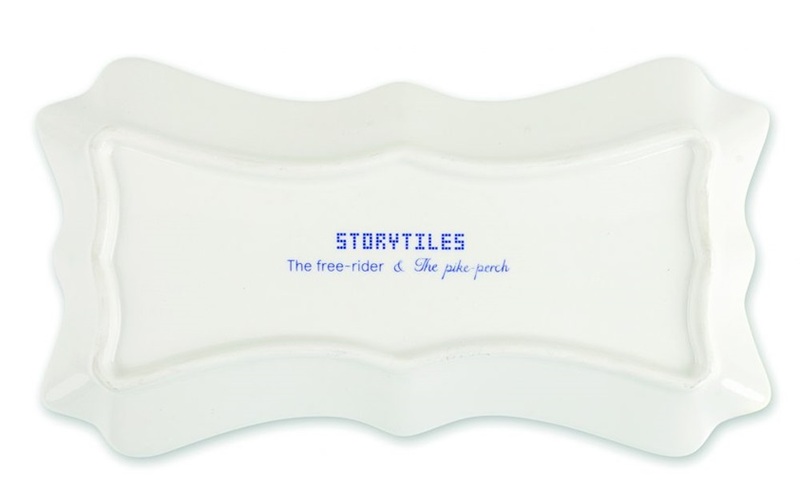 Hang up the collection alongside your StoryTiles. 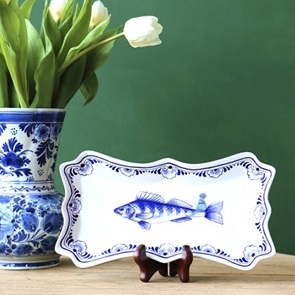 Or use the plate as a showpiece on your dining table to serve some small bites. 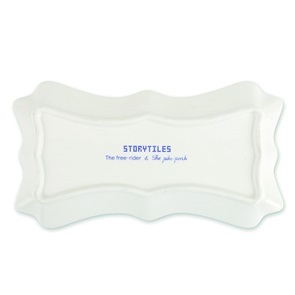 All plates are dishwasher-safe. Size: 26 x 14 cm. Deliverytime ships in approxm 1 to 3 business days.